With a decade and a half behind the decks to his credit, Fohat, a BMSS Records veteran presents his first compilation, "Holistic Nature". Featuring undiscovered talents and the unconventional skills of artists used to creating outside the box, Fohat brings you an uncommon individualistic take on twilight Psytrance. Leaning on the familiar theme of unity through sound and movement, "Holistic Nature" is intended to be a restorative tonic for all the senses, physical, emotional, cognitive and spiritual. These ten previously unreleased tracks by artists such as Zeridium, OxyFlux, Modular Pitch or Altus are designed to touch the listener on many levels drawing individuals together into one cohesive experience. On Holistic Nature, it is the totality of the journey, the setting, the contact, the experience, the assimilation and integration of rhythm, tone and melody that draw the listener in. A cure-all for all the senses equally, where the message is as important as the medium, these ten tracks function as one enlightened re-interpretation of twilight Psytrance. 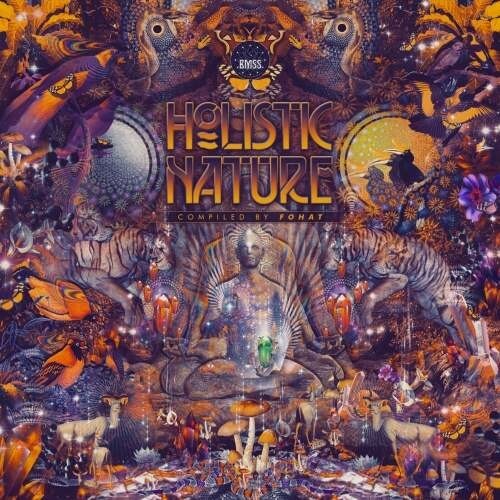 Polished off with Mastering by TRK (Scorb) and illustrated by the visionary graphics of Aashit Singh, "Holistic Nature" brings you a delightfully unified experience of the Night Time sound.